An airport shuttle bus driver has been found guilty of stealing £38,258 from customers' fares. Louise Egan drove the service between Luton Airport's terminal and Luton Airport Parkway railway station. Egan, 47, of Hallwick Road, was found guilty of two charges of theft between April 2016 and July 2017. Jurors heard there were "considerable shortfalls" in what Egan had collected in fares and what the company received. Prosecutor Daniel Wright said the theft was uncovered when a review of the shuttle bus's takings was carried out by Govia Thameslink analyst Nikki Hill. Because of the discrepancies, jurors were told, Egan's takings were checked over a five-day period in July 2017. Bags of fares deposited by her were intercepted, opened and the cash inside counted. The shortfall amounted to £706 and, as a result, her records over a 15-month period were checked and total losses of £38,258 were discovered. 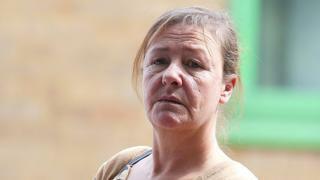 In one month, the shortfall in her takings amounted to over £3,000, the court heard. She was subsequently dismissed from the bus company. Egan denied the charges and told the court "I've got no idea what happened" when she was questioned why there were so many discrepancies on the days she worked. "I didn't take it - that's all I know," she said. During her evidence, Egan admitted travelling abroad for £15,000 worth of dental treatment during the time of the thefts. She said she paid for it using savings and her wages. Mr Wright asked her "How can you afford to spend £15,000 on dental treatment?" "It was needed, it wasn't done through vanity," she replied. After being convicted she was told she could face custody and will be sentenced later this month.